Rotola measures 40 cm in diameter. As a floor lamp, it can provide cosy and aesthetic flair for the living room in question. 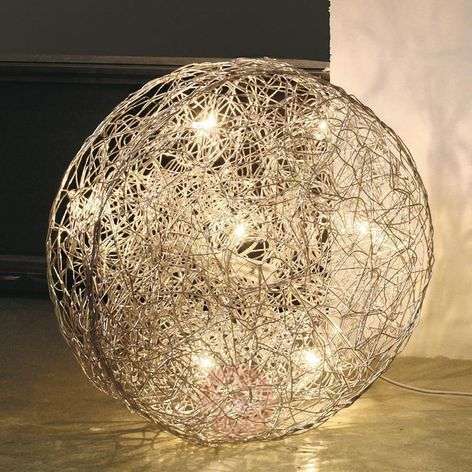 Depending on the size and nature of the space, it can also be used as a table lamp, and it knows how to impress here too. 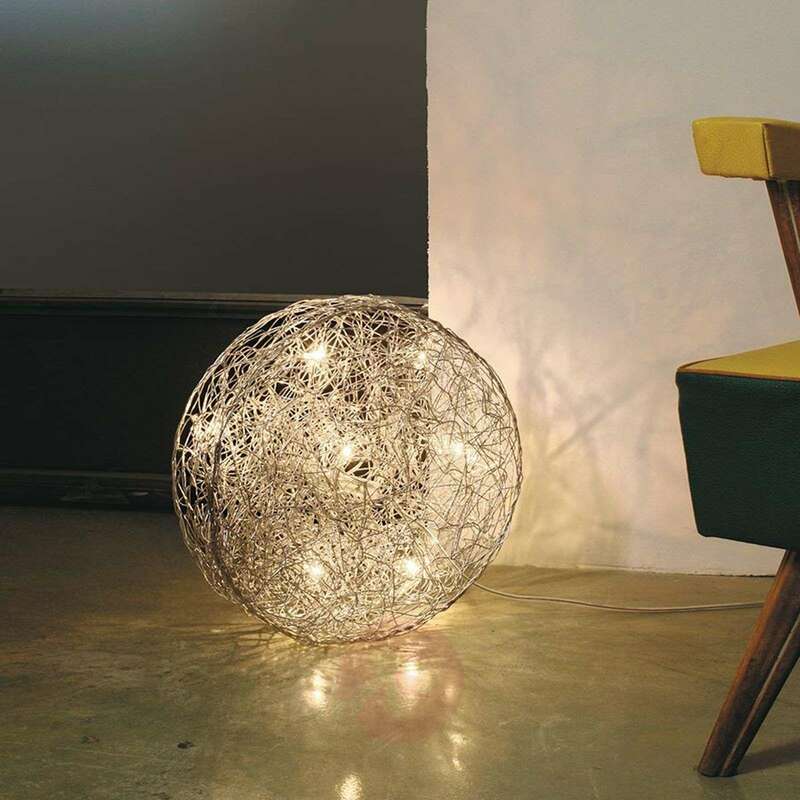 The body of the lamp is made from a tangle of wire mesh made from anodised aluminium. Seven halogen bulbs have been integrated into this mesh to produce warm, cosy lighting, and to create interesting interplays of light and shade on the nearby wall. Knikerboker is an Italian manufacturer of designer lights, which are made by hand on site. The result is quality products with a special unique flair.